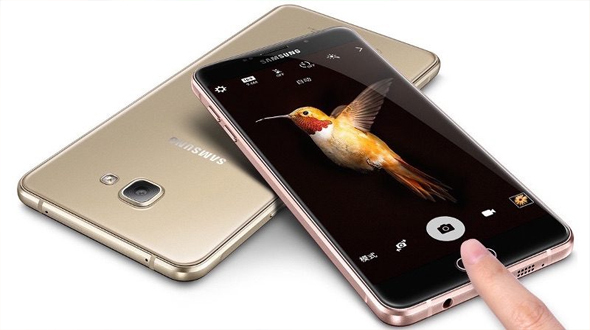 Taking the trend ahead of new launch, Samsung has launched the “C” Series devices and first in the list is “Samsung Galaxy C5”. The device just burst on the scene and online stores in China are already accepting pre-orders (the actual sales are scheduled to start on June 6). All metal design, device is just 6.7mm thick. 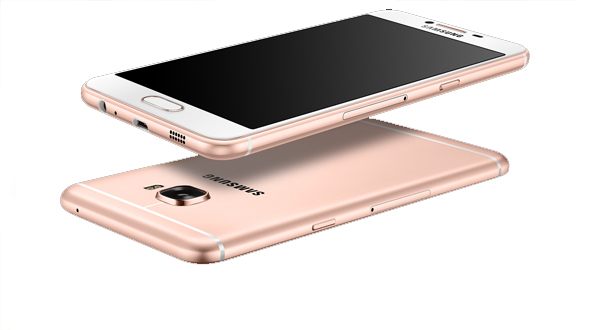 It also has a 5.2" Super AMOLED screen (1080p resolution) and runs Android 6.0 Marshmallow. Like other devices of Samsung, Home button below the screen is a fingerprint reader. On the camera front Smartphone has 16MP back camera and 8 MP front camera. The device is powered with Snapdragon 617 (eight Cortex-A53, Adreno 405). Device is powered with sealed 2,600mAh battery for providing the juice to device, on paper the battery seems smaller but the will have to wait for the actual performance of it. While the launch of the device is awaited outside China, the device can pre-order in china with the price tag of CNY 2,200 ($335/€300) for the 32GB Galaxy C5 for and CNY 2,400 ($370/€330) for the 64GB. Will Hope for the quick launch of the devices out side China, meanwhile the bigger version of the C5, C7 is also expected to be launched in quick time period.